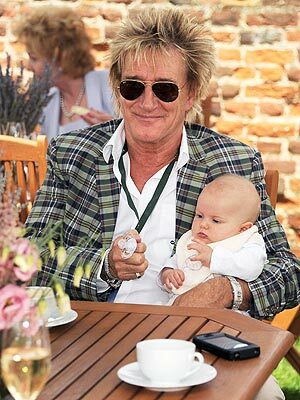 Rod Stewart and his baby son, Aiden, 4 months, are such a cute pair. 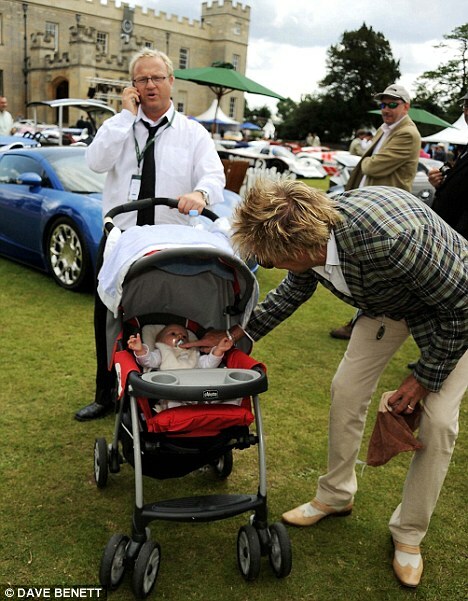 The rock n' roll dad took his son and wife, Penny Lancaster, to the luxury super car event, Salon Privé, in London on Friday. While taking a cappucino break, Stewart bounced Aiden on his knee and soothed the baby with a pacifier.